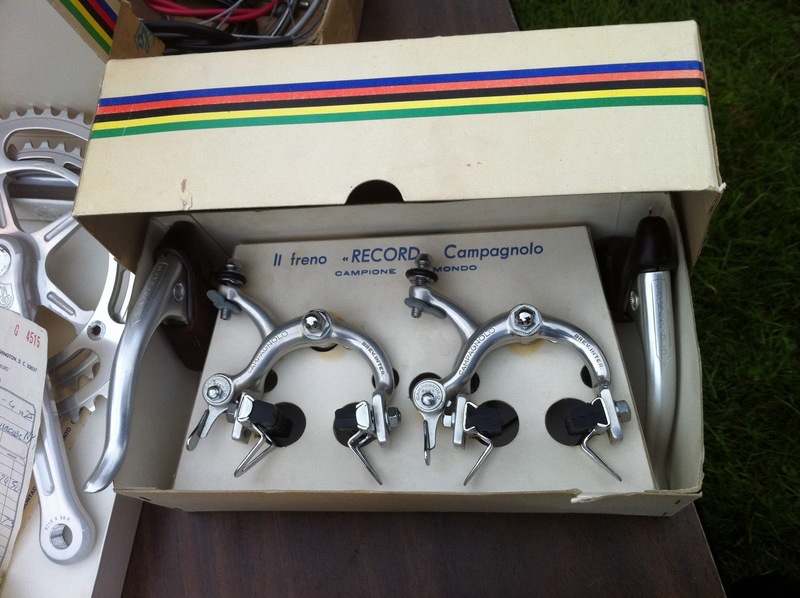 A seller at the Trexlertown swap meet was displaying this 1975 Campagnolo Nuovo Record group. 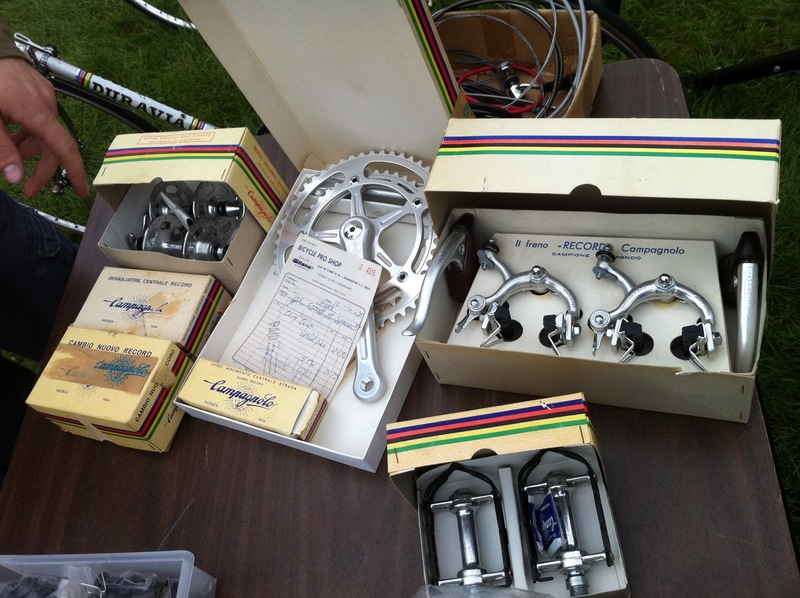 It was not for sale, per se, but for the right amount of money, anything is for sale at a bicycle swap meet. 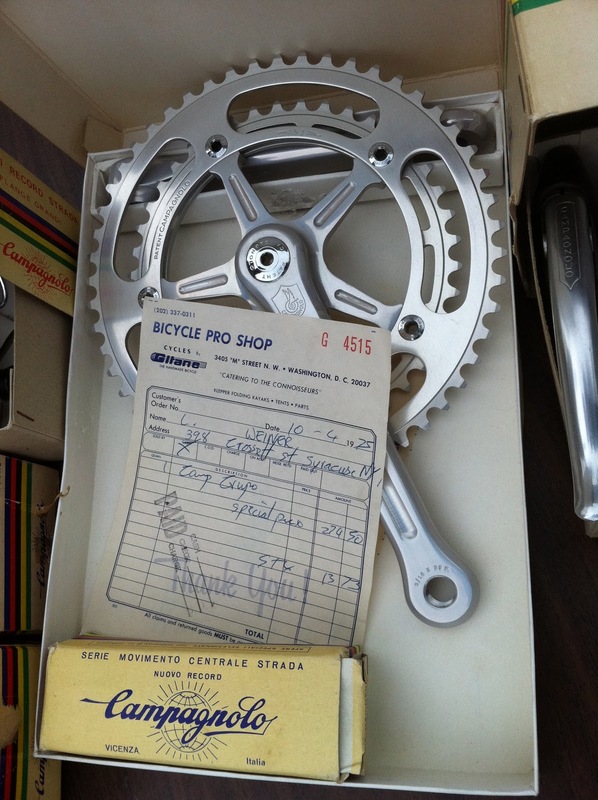 It was cool with the original receipt and all.